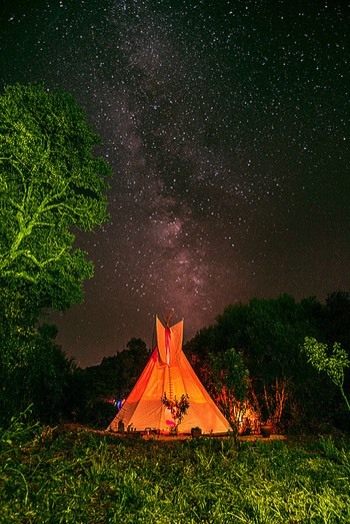 The retreat will be held at Monte Da Orada, a serene, eco-sustainable retreat centre, nestled deep in the privacy and tranquility of the Alentejo countryside. 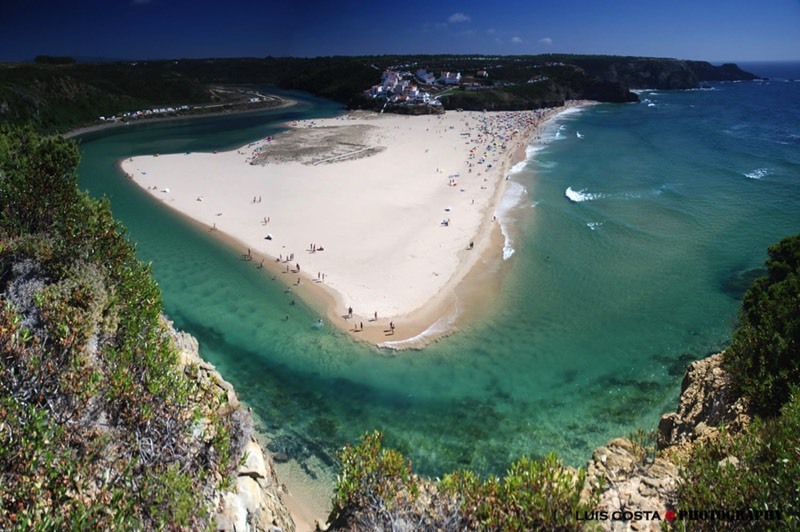 Located on Portugal's Southwest Atlantic Coast, bordering the Algarve, Monte da Orada is surrounded by spectacular, unspoilt surf beaches, breathtaking scenery and delightful coastal and hillside villages to explore. 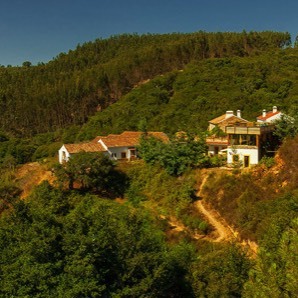 1.5 hours away from Faro airport and 2.5 hours away from Lisbon, this beautiful valley lies in an abundant oasis where two creeks come together in ancient lush forest and wildlife vistas. 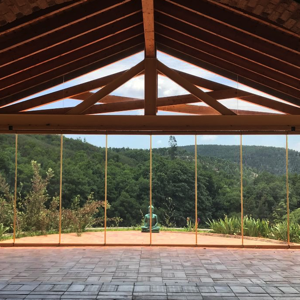 Monte da Orada is a sanctuary of peaceful nature and healthy, organically grown food. 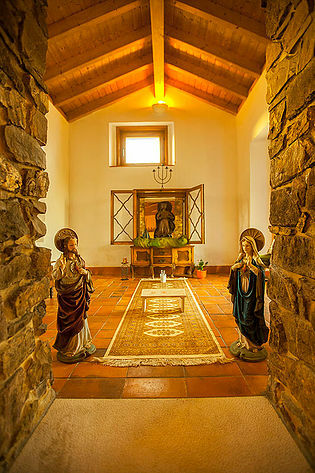 One of the oldest buildings documented in this region, the name Orada means "prayed for" and legend goes that people and animals came to rest here to recover from their ailments, and to pay homage to the Virgin Mary housed inside a shrine in a stone barn. She still sits here in her shrine, watching over the Yoga Studio, lending an air of peace and solace to this sacred space. One of the highlights of Orada is a wonderful natural Bio Swimming Pool, a fully self sustainable eco-system which keeps the water oxygenated and chemical-free, perfect for swimming and relaxation. There is a panoramic wooden roof deck to sunbathe and watch the sunset from and many comfortable living spaces to relax and socialise in. 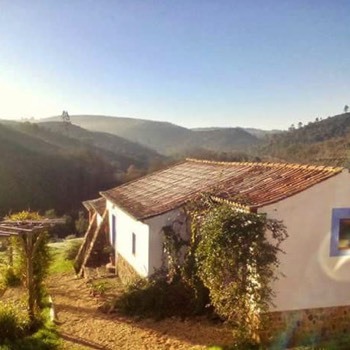 The main house has a large traditional Portuguese dining and lounge space and a huge outdoor patio and terrace with pizza oven. A stunning glass-walled lounge overlooks the valley with comfy sofas, floor cushions and a woodburner for chilly evenings. There are many beautiful outdoor spaces to spend time exploring and relaxing in, including a stone firepit and amphitheatre. Monte Da Orada has a wide variety of accommodation to suit every taste and budget. 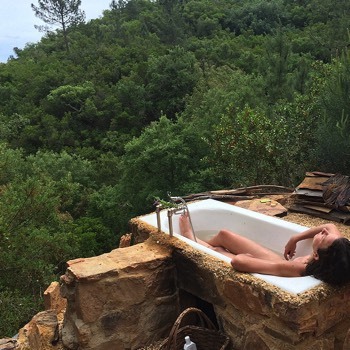 There are 6 suites with bathroom and kitchenette opening onto the beautifully maintained permaculture garden. 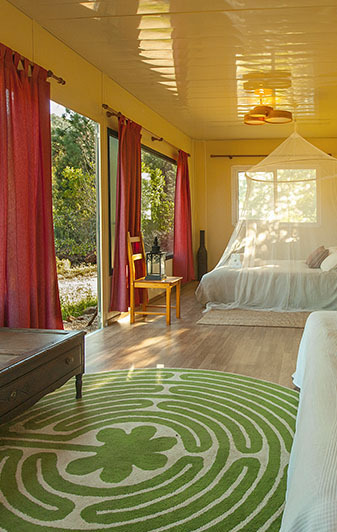 There are 2 large forest bungalows which are surrounded by nature with outdoor bath and shower. 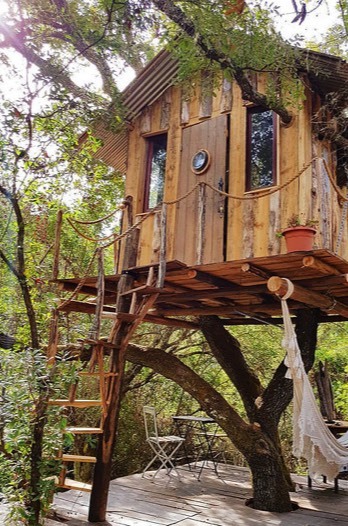 There is a delightful Treehouse for 2 people and a Yurt for 4. If you are on a lower budget we have a stunning shared loft space with futons or a spacious dorm room with single bunk beds. Let us know what you would like and we can tailor your accommodation to suit your needs. Morning Yoga practise will be a mixture of dynamic, vinyasa flow with some Rocket and Mandala flow influences; plenty of core strengthening, with fluid, creative sequencing and fun, playful arm balancing and inversions if you fancy them. Evening practise will be Yoga Nidra; the awakening practise of sleep, and Yin Yoga; floor based, long held meditative postures. We will end with meditation. 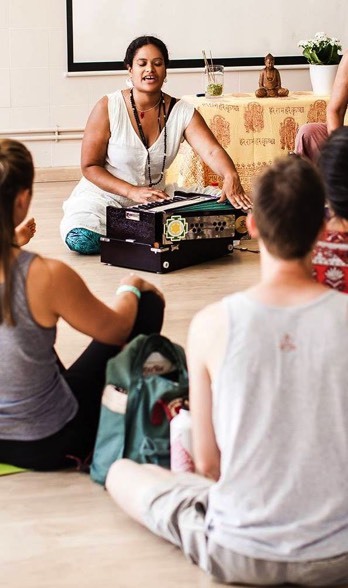 On some of the nights we will be joined by musicians and if you feel like chanting there will be Kirtan, the devotional uplifting practise of singing from the heart. All levels are welcome. If you are an experienced yogi this will be a chance to delve deeper into your practice, or if you are a complete beginner it will be an opportunity to begin your yoga journey. 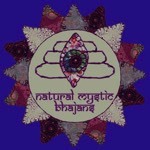 Every body will be lovingly nurtured and catered for. 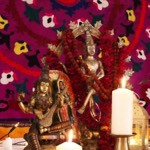 Single supplement will be applicable if a private single room is required. Payment plan is available to stagger the cost. £300 deposit required to secure your place.